One-Year Sam's Club Membership Only $2.82 After Gift Card and FREEbies! You are here: Home / Great Deals / One-Year Sam’s Club Membership Only $2.82 After Gift Card and FREEbies! One-Year Sam’s Club Membership Only $2.82 After Gift Card and FREEbies! 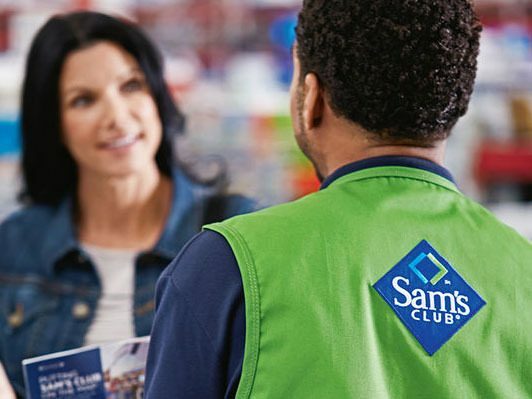 WOW – if you’ve been looking into getting a Sam’s Club membership, this is the time to grab it! Right now, you can get a one-year Sam’s Club Membership for just $45 but, after you factor in $20 Sam’s Club gift card and 4 FREE food items, it will be like getting your membership for just $2.82! We’ve been wanting to get a Sam’s Club membership but haven’t wanted to pay full price for one, so I’ve been waiting for a deal like this to roll around again. I’m so excited about it – the FREEbies almost pay for the membership itself!